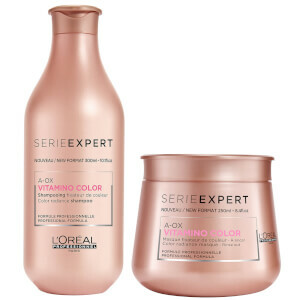 The L'Oréal Professionnel Serie Expert Vitamino Color Shampoo and Conditioner Duo combines two professional formulas to restore radiance and shine to all hair colours. Shampoo: Apply evenly to wet hair. Lather and rinse. In case of contact with eyes, rinse them immediately. 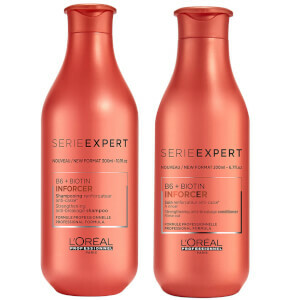 Conditioner: Massage into freshly cleansed, wet hair and leave for 2-3 minutes. 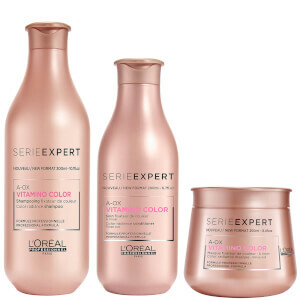 Rinse thoroughly, then dry and style as desired.